We thought we would start sharing some of our recent projects with you on a more regular basis right here on our blog. 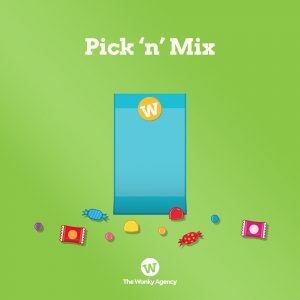 We’ve been getting lots of recommendations and referrals recently which is so lovely and the greatest of compliments for us, as we’re busy generating estimates and talking about our services we wanted to touch on them too – hence the pick ‘n’ mix title! More often than not, our clients aren’t quite sure what they want until they start talking to us, or they don’t need something as elaborate (and expensive) as they first thought. We break everything down and price it individually, so you can see where the majority of the investment really sits – we won’t sell you something that isn’t right for you, or your business either. There’s no point! We’re also lucky enough to be a small and agile business ourselves and on the techie side we develop in-house which enables us to stagger things according to your budget with different launch phases if required. We’re lucky to live and be based in Chalfont St Peter, Buckinghamshire which has such a lovely selection of independent shops. An online presence is definitely something that we recommend everyone has, and a dynamic one at that as the majority of us view websites on our phones and tablets these days. 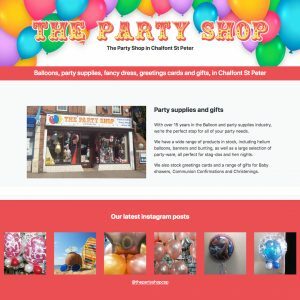 The Party Shop have a great spot at the bottom of the high-street right on a pedestrian crossing and opposite free parking however they didn’t have a website and are working on increasing awareness of the shop, their services and opening times. Raj & Nikki opted for our starter website package which is ideal for those looking to make the leap into the realms of positioning themselves online. With established branding from when they took the business on, we created a simple, sleek one-page website for them which you can view here. 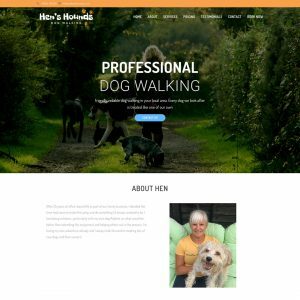 Our client Helena has recently made the leap from office-based life to the great outdoors and has launched her professional dog-walking business – Hen’s Hounds. Having been recommended to us, we worked closely with Helena to create her new company logo, business cards and her sleek website which gives information on her services, pricing and how to book. It was a lovely project to be involved in which took approx. 4 weeks from start to finish. It’s amazing the difference a responsive client can make to time-lines and we’ve really enjoyed the whole process. 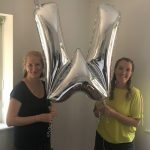 Carun UK is the latest client to join us over at #teamwonky and we’ve launched their new and updated social media platforms this week. 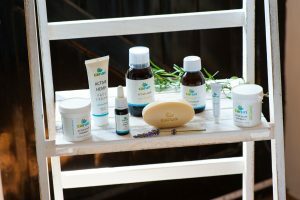 Carun are a specialist organic hemp producer that provide a wide-range of skincare and food supplements which contain active compounds such as Cannaboid Oil (CBD). They were featured on the BBC show Dragon’s Den and recommended to us by another of our lovely clients. We’ve been sampling the range over the past few months and are big fans ourselves of the skincare range! 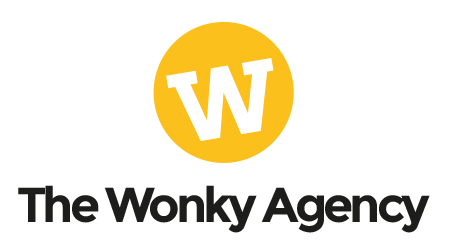 Hopefully you’ve enjoyed our little snapshot in to the world of Wonky, with so much going on we’ll make a conscious effort to update you all a little more often!